Is God in Our Midst or Not? Several years ago when I was in campus ministry at South Dakota State University, I got a late evening phone call from campus security. They asked if I would make my way to a student residence a couple blocks from campus. A young man who lived there had just committed suicide. He shot himself. Several friends and neighbors of his were gathering at the house, sharing their shock and grief. I went to try and offer some comfort, if not understanding. It was a night I won't forget. Talking with one of the students, she told me this was the third suicide of friends in the last year. Then there was the young man who shot himself, a member of a congregation I served. It was not easy going to see the rest of the family when the call came. It was a complete shock to all. There were no warning signs that anyone could see. No noticeable depression. No broken relationships. And the gun made it quick and easy. And then there was the sixth grader in another community. All of the clergy were called to the school the next day to spend time in different classes. We did our best to answer questions the young people had and strained to assign some rationality to the irrational. But it was tough, tougher yet for his friends and classmates. Suicide is the third leading cause of death among young people in the U.S., ages 15 to 24. One can never be sure how many other adolescent deaths, like automobile accidents, are the result of self destructive, if not suicidal, behavior. It's not an easy age in any culture. Fortunately, the South Dakota Legislature had the good sense to reject the recent bill that would have allowed weapons on campus. Administrators didn't want it. Faculty and staff didn't want it. Students didn't want it. And if it had passed, I would have hoped many students would do what the one young woman from the University of South Dakota threatened to do, go to school someplace else. If all the colleges in South Dakota lost even a tenth of their student population, the idea of guns on campus might be reviewed. 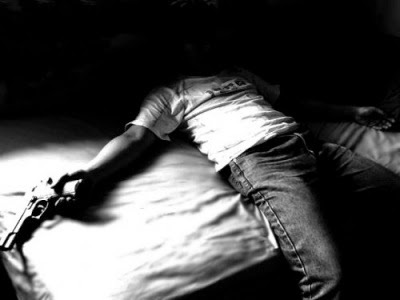 One wonders if those who are so intent on putting a gun in everyone's hand, especially young people who are known to have ups and downs and emotional swings, have ever been close to an adolescent suicide? Or I wonder if they've ever been in a fire fight, where they didn't know who was the "good guy" and who was the "bad guy", since all they saw and heard in a few seconds of response time was retreating bodies and noise? It seems these "would be white hats" have a movie set version of how they would protect themselves or another. Like the recent road rage case in another state, where the armed son goes out to protect his mother and she gets shot in the head and killed. What utter tragedy! Why in heavens name do we pay police (usually not enough) to protect and serve, and then not use their services but make their job more difficult? But there has to be something deeper going on in the culture besides National Rifle Association lobbying, arms manufacturers making obscene profits and politicians pandering to the political right wing. Maybe the fear mania started before 9/11, but certainly since, we've been fed fear for breakfast, fear for lunch and fear for dinner. The government promotes it. The politicians run on it. The media sensationalizes it. Racism and nationalism thrive on it. Religion will often capitalize on it with "end times" theology. The American culture has become so permeated by fear that everyone seems to think they need a gun, just in case they need to kill their neighbor (before their neighbor kills them). Maybe our nation's new policy of permanent and pervasive war, often against unseen enemies with lots of "collateral damage," is coming home to haunt us. Increasingly, maybe we're the collateral damage, not just in Yemen, or Afghanistan. And somehow, many have taken to heart the idea that there are only two alternatives in a conflict, fight or flight. We either stand our ground with our gun and fight, or take the cowards route and flee. I prefer Gandhi's idea, a third option. How about standing one's ground and not fighting. Gandhi writes, "Nonviolence and cowardice go ill together. I can imagine a fully armed man to be at heart a coward. Possession of arms implies an element of fear, if not cowardice. But true nonviolence is an impossibility without the possession of unadulterated fearlessness." And again, "I see neither bravery or sacrifice in destroying life or property for offense or defense." 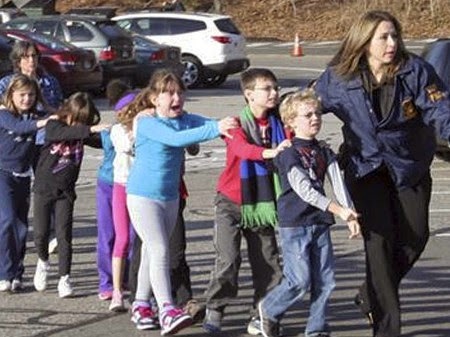 In my mind, the real hero at the Sandy Hook massacre wasn't the guy with the gun. It was the principal who gave her life for her kids. Talk about guts! There's an alternative to living in fear and arming ourselves to the teeth. It's that place in all of us that exercises love and compassion. It's a place in all of us that allows us to look danger in the face and sacrifice ourselves for another. It's that hard but true calling to love the neighbor, like the self, not threaten or kill them. As the week’s blizzard came to end, we went outside to begin to clear up. One of my favorite activities is running the snow blower, which is owned collectively among three households on the street. In part, that is what I love about it, delighting in the gift of its collective ownership. Every time it snows, we need to be in touch with each other, coordinating schedules and prioritizing needs. Mieke and I got the little machine that we call “Mighty Mouse” at our designated time. Adding to the excitement of running it, Mieke made a video of me driving the red machine down the driveway. The video was for two and a half year-old Leo, so he could see the snow flying and zayde (Yiddish for grandfather) hard at work, calling out to him and yelling “mush” to urge on the imaginary dogs. It was a great hit! We had our first real phone conversation with Leo after he saw the video. The first thing he said was, “I want one for my house.” At some point in all of the fun with the video, we suddenly all had an amazed realization; Leo had no idea what snow is! Living in Los Angeles, he had never seen snow, never experienced its cold or its gently falling flakes, neither its drifting depth nor its wind-swept bite. I thought about our efforts to explain snow to Leo as I went through the week. I began to notice lines of connection to similar questions about being and existence, naught and nothingness, people helping or not helping each other, manifestations of God’s presence or absence. How to explain, how to know, of that which we see and of that which we know only through manifestation of its essence in the world around us? I thought of such questions as I came to a line in the week’s Torah portion, B’shallach (Exodus 13:17-17:16). It is a line that I had never thought much about. The people of Israel have crossed the Sea, finally on the journey, “free at last, free at last, thank God all mighty, free at last.” They have seen amazing signs and wonders, some breath-taking and some horrifying, some one and the same, as in that very crossing of the sea, their redemption entwined with the destruction of the pursuing Egyptians. All so confusing, what to think, what to feel in the face of life’s contradictions churned up with the muck of the sea bottom? Fearful, needing water, they argue and complain, challenging Moses, testing God. And then they ask a powerfully profound and poignant question, timeless in its yearning to know, as real for us at times as for them, is God in our midst or not/ha’yesh Ha’shem b’kirbenu im-ayin? It is an amazing question, so real in its immediacy. Is God in our midst or not? How do we know? What does it mean to affirm the reality of an unseen presence? What if we have never felt God’s cool kiss upon our brow, or the warmth of God’s presence upon our heart? What about the swirling bite and blur of life when it seems impossible to see beyond what is? In a world of so much evil, what is the place and power of goodness and of God’s role and ours in its expression? How do we know then, when all seems blurred, if God is in our midst or not? Unlike snow in warm climates, God’s presence can be felt everywhere. Also unlike snow, experiencing God is not a matter of sight, or touch, or taste, but of something deeper. After all that the people have experienced of God’s miracles, the fearsome plagues, the sustaining gift of mannah, the parting of the sea, we realize with their question that knowing God is deeper than the impact of miracles occurring outside the order of nature. Awareness of God comes through the ordinary miracles of every day, that which is within nature, within and among our selves. It is knowledge acquired over time, found in our ability to see beauty in spite of all that would deny it. There are times when we are blessed to know God as a still small voice rising from within. In the weave of humanity, God is found in the interconnection of people become as God’s angels. God works through us. Beyond signs and wonders meant to convince, but which really don’t, the deeper teaching that points to knowing God in the day to day and in the experience of life lived with people is hinted at in the very wording of the people’s question. The people ask if God is b’kirbenu/in our midst? Ultimately, it is only a question that they will be able to answer, only when they experience the manifestation of God’s gentle touch in the way of their relationships with each other, and so for us. B’kirbenu is from the root karov/near or close. The answer is in the way of our drawing near to each other, finding God’s presence within and among our selves. There are times when we know the sweetness of God’s presence in solitude, when our hearts are open to God’s longing, or in the gift of God’s response to our yearning. In the social context, it is in the manner and way of our being with each other that we find nearness with God, meaning and purpose in life. There is an equation and a choice framed in the first word and the last word of the people’s question. The first word is ha’yesh/is there? Taken by itself, yesh means there is! The last word, ayin, means naught or nothingness, there isn’t. That is the choice, whether we choose to draw near or not, whether we approach life with optimism and a sense of possibility, whether we live in the way of there is or there is not. Ultimately, it is a choice that cannot be explained in the abstract. Understanding the consequence of each way of being, to live with hope and possibility or with a sense of naught and nothingness, determines our ability to sense God’s presence among us, and within our own selves. 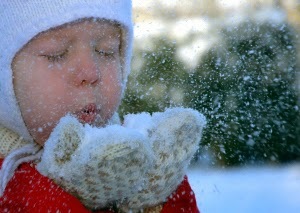 As hard as it is to explain snow to a child who has never seen snow, it is both harder and easier to explain God’s presence, especially to a child. 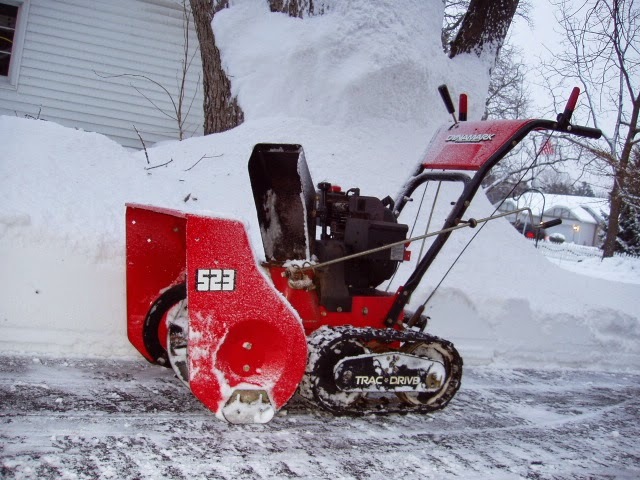 In the caring and cooperation of people with each other in the common use of a snow blower, there is something much more than the exhilaration that comes with its use. In the nature of our relationship with each other, and in the stillness of falling snow, is an intimation of what is possible, of yesh/there is in the face of naught, of God’s presence among us. Once again the headlines are full of the news of the destruction of human life –this time through immolation. I sit with the horror – and I sit and I sit and I sit. How do I come to a nonviolent response to what has come to be a most visible scourge in the life of humankind in the present moment? What do I do with the notion of the deliberate, planned, intentional and public destruction of a human being. How do I relate to the humanity of the perpetrator? As I write, I realize that these are questions that reside at the periphery of consciousness most of the time as I contemplate the tacit permission I give to military violence done in my name just by being a citizen who pays taxes. It is an ugly question to confront, I think. One that I would rather avoid at all costs. In the mists of meditation, I come to understand that something is coming to be revealed that I would rather not see – but that is absolutely necessary to understand if we are to have any hope for humankind’s wholeness. 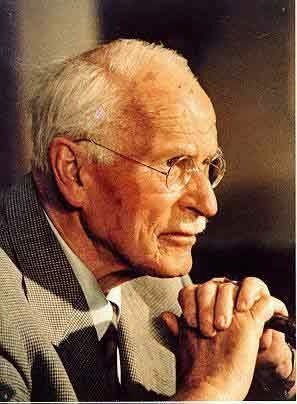 In a very fragmentary, and perhaps over simplified way, I understand from the work of Carl Jung that there is such a thing as a collective consciousness and a collective unconscious – that just as humans have an individual consciousness particular to each one, the human species has a collective consciousness – one in which we all participate because we have evolved over eons and carry that evolutionary process within us together. It follows that there is a collective unconscious in which we participate as well. From Jung’s further work, I also understand that there is what he referred to as “the shadow” – those aspects of the self that remain hidden – that I deem unacceptable for polite company – the parts of my psychological and spiritual and emotional self that cause me shame and embarrassment - - the parts I tend to bury out of sight. Over the years, I have been learning the discipline of recognizing and welcoming my own shadow, of drawing it into the light. It is a life work and extremely unpleasant at times – but seems to be what is required in order to fulfill the great command to “love your neighbor as your self.” If I cannot love and extend compassion to what is unacceptable and disconnected within myself, I cannot possibly fully extend compassionate love to another. I have been reflecting on this and wondering - - and it is a huge wondering. I wonder if, in the very public beheadings and the incineration of humans beings, are we being forced to witness the shadow of the collective unconscious of humankind? Are we being given a glimpse of what humanity is capable of in ways that we have not been able to entertain in consciousness in quite the same way before the immediacy of all the communication technology we now have available to us? Do these very specific and particular acts of destruction of human life serve a purpose in forcing us to come to terms with the collective shadow in which we all participate simply by virtue of being human? 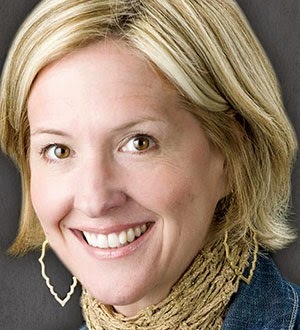 I recently listened to Krista Tippet (“On Being” – an offering on NPR) interviewing Brene Brown, author of The Courage To Be Vulnerable. Brown noted that humans have the capacity to act from courage and vulnerability or from fear. When we act from fear, we do terrible things to one another. When I can ask this question, I can begin to formulate a different response to what I witness. They are me. They are not “other”. They are my shadow. And perhaps they serve as a visible reminder of the shadow of our collective unconscious as well. If this is possible, and the master teaching is “love your neighbor as your self”, do we not have a responsibility to find a way to love this terrified and terrifying shadow into the light? Does this tiny fragment of humankind do us a service by revealing the depths to which we have buried our collective shadow? Does it force us to wake up and come to terms with what we are afraid of? Jungian theory suggests that the only way to “disarm” the shadow is by relating to it and with it. The great spiritual traditions teach that “loving your enemy” is a possible, if untried, path. Are these most recent acts of terror an unwelcome invitation from the depths of the collective unconscious to awaken to another way? There's been an interesting development in science over the last couple of decades that never seems to make the headlines. There are more and more scientific studies being done on the dynamics of forgiveness. 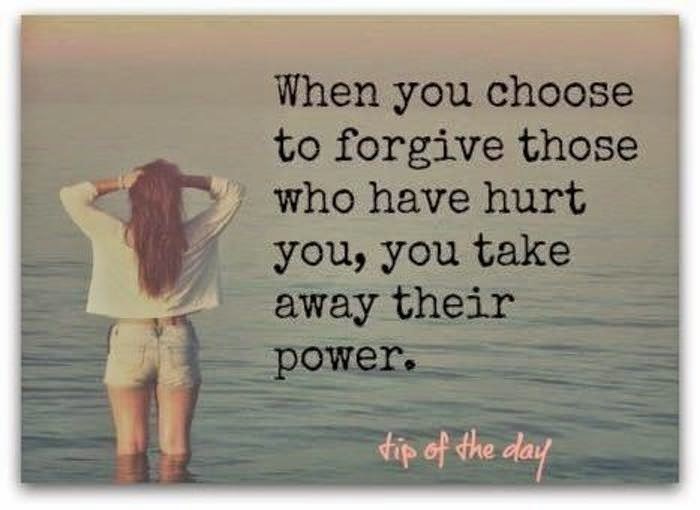 That's right, forgiveness! For instance, a couple of researchers discovered 58 scientific studies of forgiveness in 1998. By the year 2005, that number had grown to 950. One of the researchers is a well known professor, Everett L. Worthington, Jr. He plays a major role in the film "The Power of Forgiveness" and is a professor in the Department of Psychology at Virginia Commonwealth University. He and others are looking at forgiveness scientifically. In the process, they are discovering that the religious admonitions to forgive may well make sense for all those involved. One of the tools used in the studies is biofeedback. Participants, after initially being in a state of rest, are invited to revisit an event and time when they were in the presence of someone they haven't forgiven and to describe that situation to the researcher. In the meantime, they are measured for blood pressure, heart rate, breathing patterns and sweat. What the studies have shown is that the intensity of the anger and dislike of that unforgiven person determines the stress level one sees in all the measurements. Some people who are holding onto hate sweat profusely and their blood pressure goes off the charts. On the other hand, the forgiving person has little change in heart rate or the other indicators. When one recognizes that research has also established a connection between hostility and a heightened risk of cardiovascular disease, one begins to get the picture that holding onto grudges and bitterness toward others is not healthy for the hostile one. Some researchers believe the unforgiving person may compromise the immune system, throwing off the production of important hormones or disrupting the fight against infections. Research has also shown that especially in older age groups, forgiving persons cited greater satisfaction with life and were less likely to report distressing symptoms like nervousness, sadness and restlessness. Elie Wiesel, a holocaust survivor, says one who has committed an offense against another needs to ask that person for forgiveness three times. If after the third time, forgiveness is still refused, the moral burden falls on the other and they are the one that needs to be forgiven in the larger scheme of things. The philosopher Friedrich Nietzsche said, "It is much more agreeable to offend and later ask forgiveness than to be offended and grant forgiveness." Probably many would agree with him. Offering forgiveness is difficult. Different people have different requirements. Some expect the offender to grovel. If they crawl on their hands and knees, begging, perhaps they can be forgiven. Others require at least an apology, an admission of wrongdoing, some degree of repentance, a promise not to offend again. Still others need an appropriate level of punishment for the sin, even to the point of the death penalty. Forgiveness is not forgetting or even excusing or pardoning an offense. The idea of forgiveness is to help us move past the negative emotions of anger, hostility, resentment, bitterness and hatred, toward the positive. Otherwise, how can one be truly healthy, loving and compassionate, when those old hurts lie just below the surface, just waiting on a memory or a similar circumstance? That's not to say there may be some horrific circumstances where it is almost impossible for someone to forgive. They need not be identified as we can all think of examples. But in the end, the one who ends up hurting the most is the one who harbors the hate or anger. And no one can coerce forgiveness from another or chart out an appropriate time line. If its truly forgiveness, it happens in its own way and good time. Ultimately, the most challenging act of forgiveness is to forgive ourselves. It can be the road block to forgiving others. If we can't get past our own complicity in an act done or undone, it's doubly difficult to forgive some one else. It's no wonder Jesus suggested we pray regularly, "forgive us our debts as we forgive our debtors." Sometimes, prayer may be our only hope of transformation.